Donnchadh Ó Laoghaire is your Sinn Féin TD for Cork South Central. From Togher, Donnchadh represents the Carrigaline-Ballincollig Municipal District on Cork County Council, having been elected on the first count in 2014 with over 2,500 first preference votes. Donnchadh is passionate about equality, and the need to tackle poverty and disadvantage in Irish society. A Law graduate from UCC, Donnchadh is a committed Community Activist, a Scout Leader with the 5th Cork (The Lough) Scouts, a lifelong member of St. Finbarr’s Hurling and Football Club, and serves on the Board of Togher Community Association. He is Chairperson of the Arts, Culture and Languages Committee on Cork County Council. 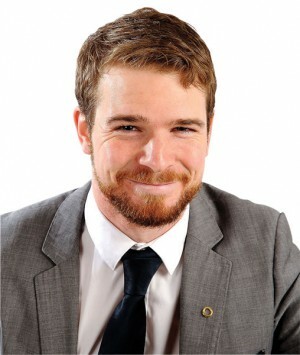 Donnchadh has previously served as a Political Advisor to Sinn Féin TDs and Senators, and has served numerous terms on the Sinn Féin Ard Chomhairle. He was the National Organiser of Ógra Shinn Féin from 2010-12. A fluent Gaeilgeoir, he is a member of the Board of Foras na Gaeilge.